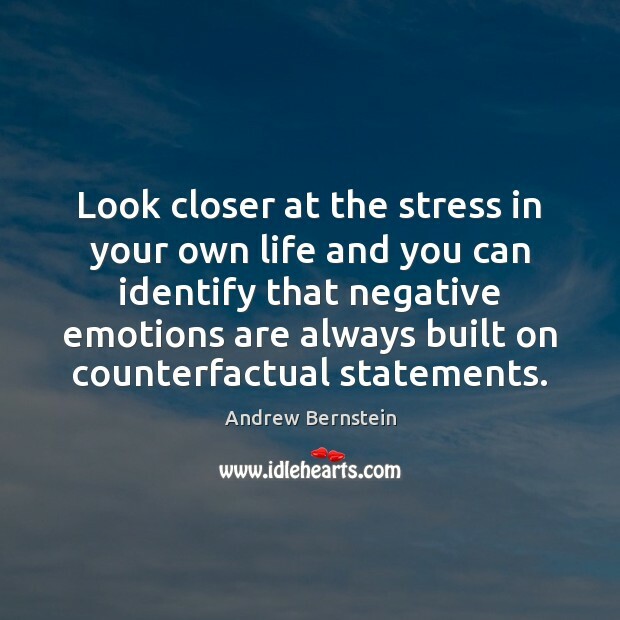 Enjoy the best inspirational, motivational, positive, funny and famous quotes by Andrew Bernstein. Use words and picture quotations to push forward and inspire you keep going in life! 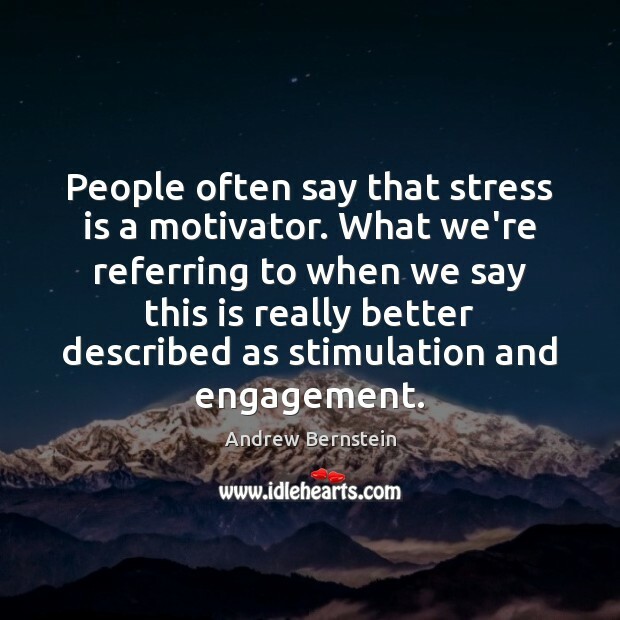 People often say that stress is a motivator. What we're referring to when we say this is really better described as stimulation and engagement. 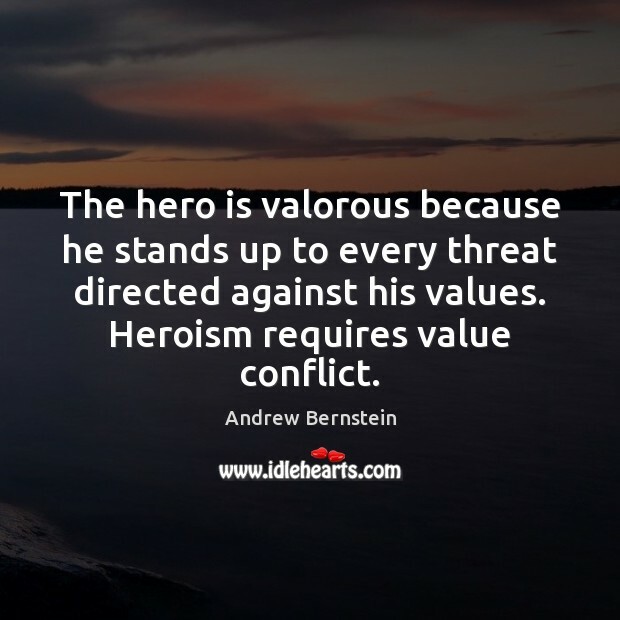 The hero is valorous because he stands up to every threat directed against his values. 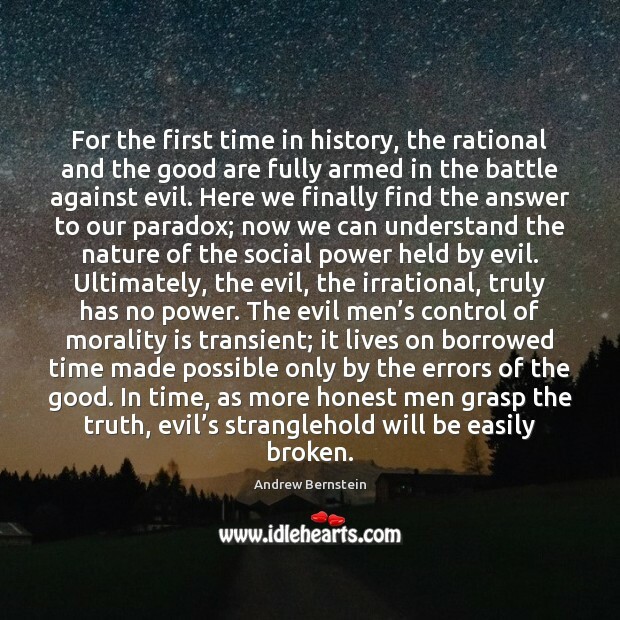 Heroism requires value conflict. Even in this secular country, the threat posed by religious fundamentalists is never very far away. 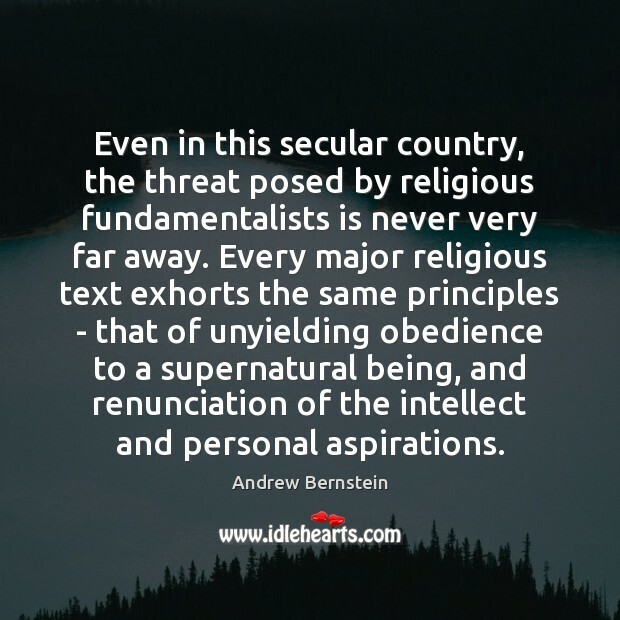 Every major religious text exhorts the same principles - that of unyielding obedience to a supernatural being, and renunciation of the intellect and personal aspirations. 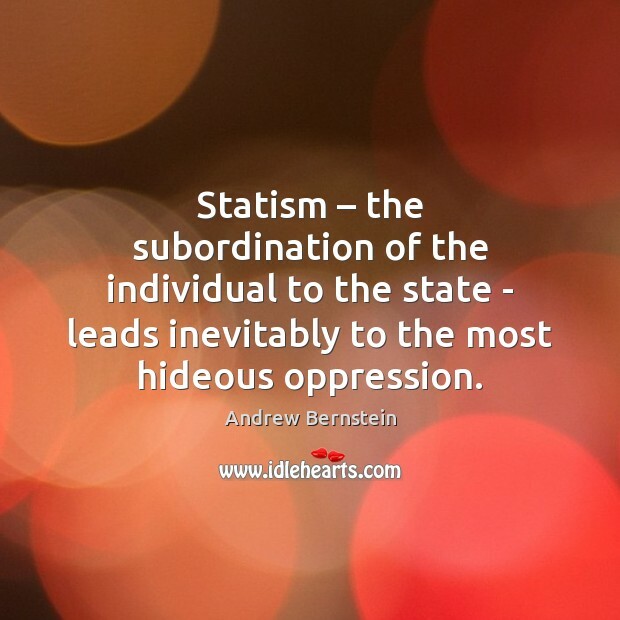 Statism – the subordination of the individual to the state - leads inevitably to the most hideous oppression. 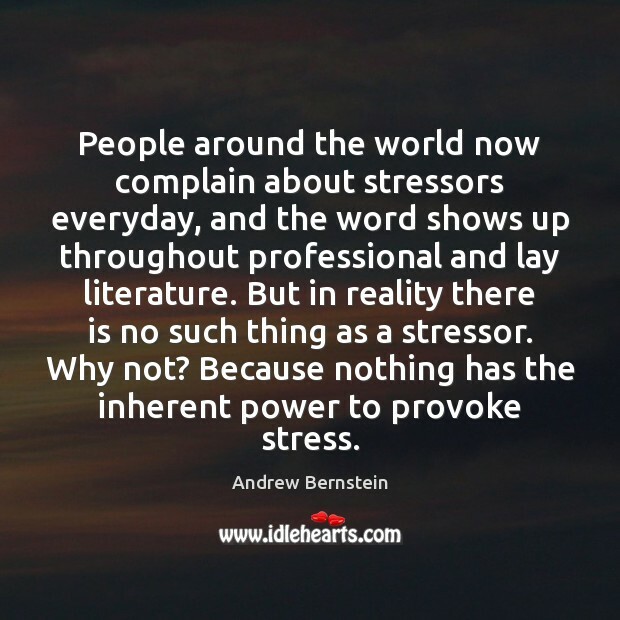 People around the world now complain about stressors everyday, and the word shows up throughout professional and lay literature. 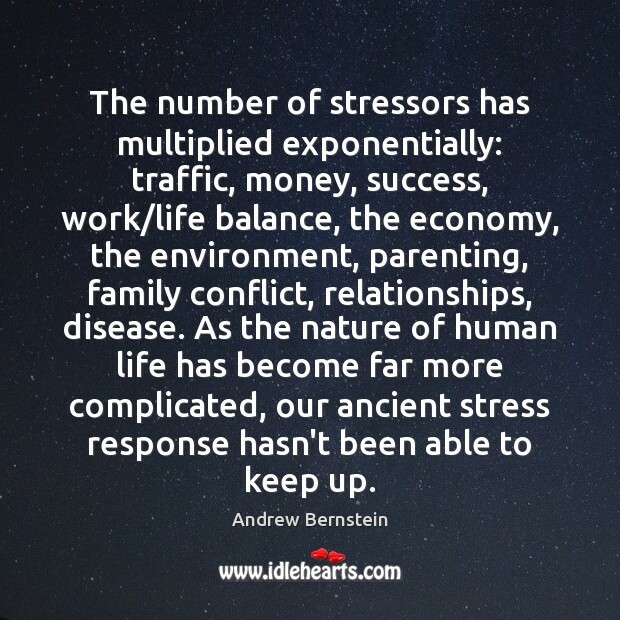 But in reality there is no such thing as a stressor. Why not? 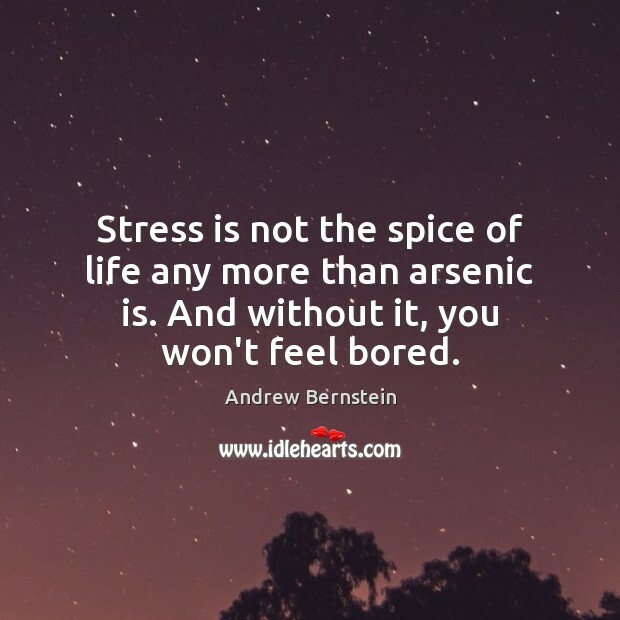 Because nothing has the inherent power to provoke stress. 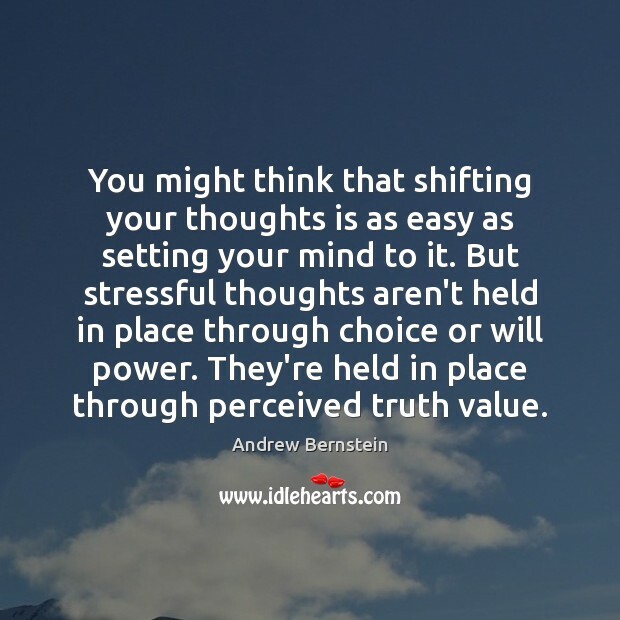 You might think that shifting your thoughts is as easy as setting your mind to it. 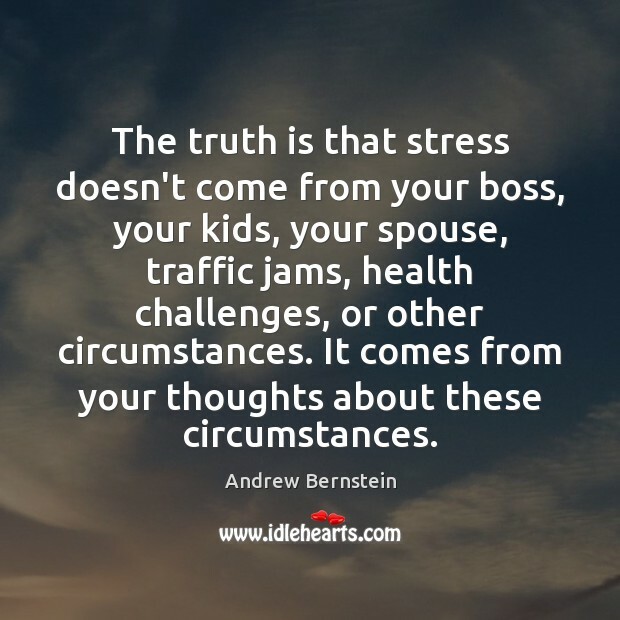 But stressful thoughts aren't held in place through choice or will power. They're held in place through perceived truth value. 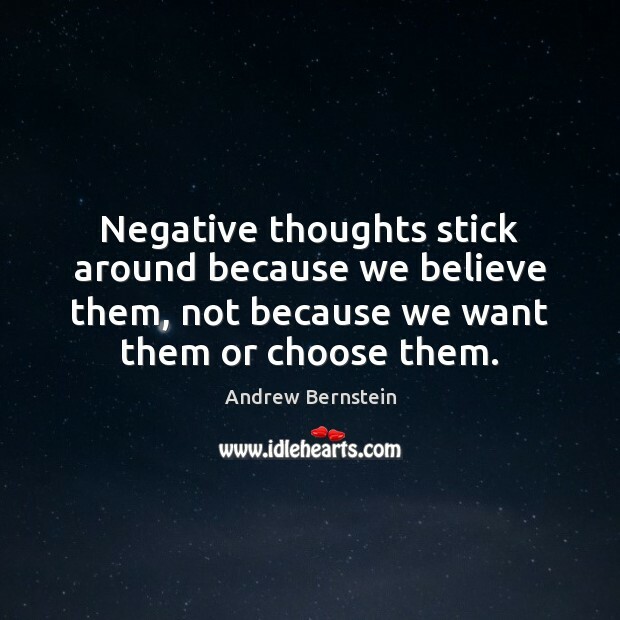 Negative thoughts stick around because we believe them, not because we want them or choose them. 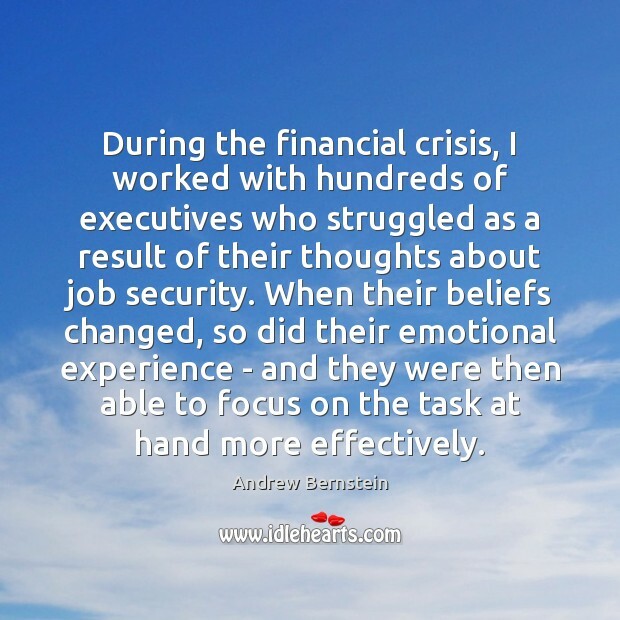 During the financial crisis, I worked with hundreds of executives who struggled as a result of their thoughts about job security. When their beliefs changed, so did their emotional experience - and they were then able to focus on the task at hand more effectively. Here is the tragedy of theology in its distilled essence: The employment of high-powered human intellect, of genius, of profoundly rigorous logical deduction—studying nothing. 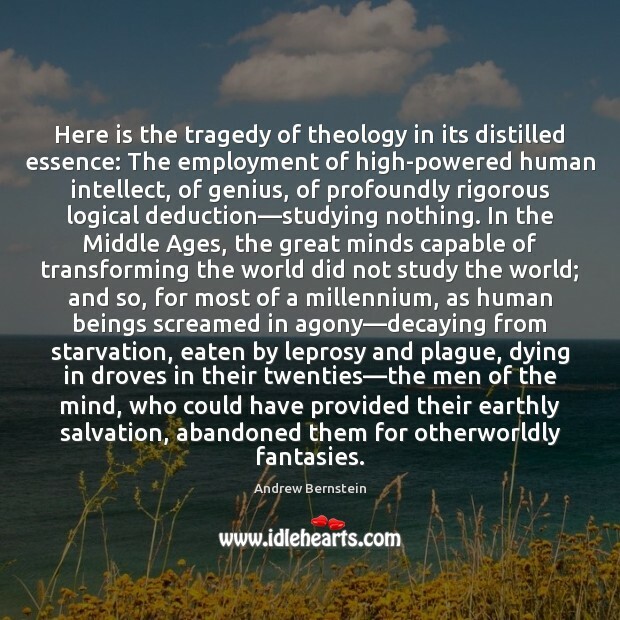 In the Middle Ages, the great minds capable of transforming the world did not study the world; and so, for most of a millennium, as human beings screamed in agony—decaying from starvation, eaten by leprosy and plague, dying in droves in their twenties—the men of the mind, who could have provided their earthly salvation, abandoned them for otherworldly fantasies. 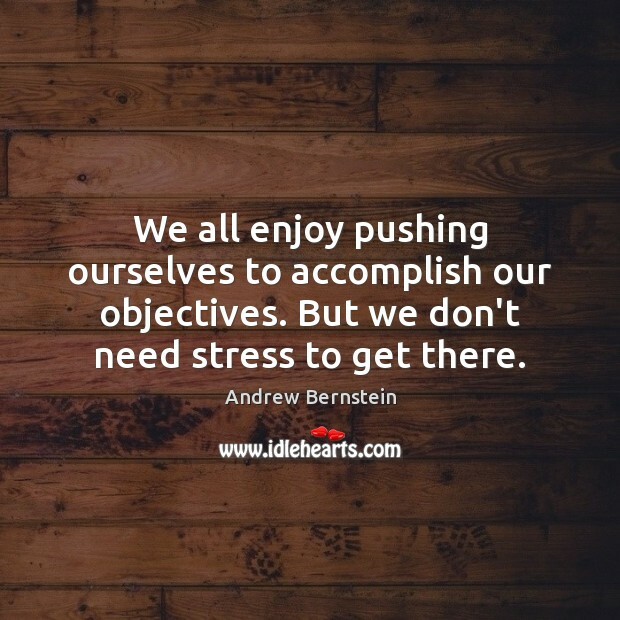 We all enjoy pushing ourselves to accomplish our objectives. 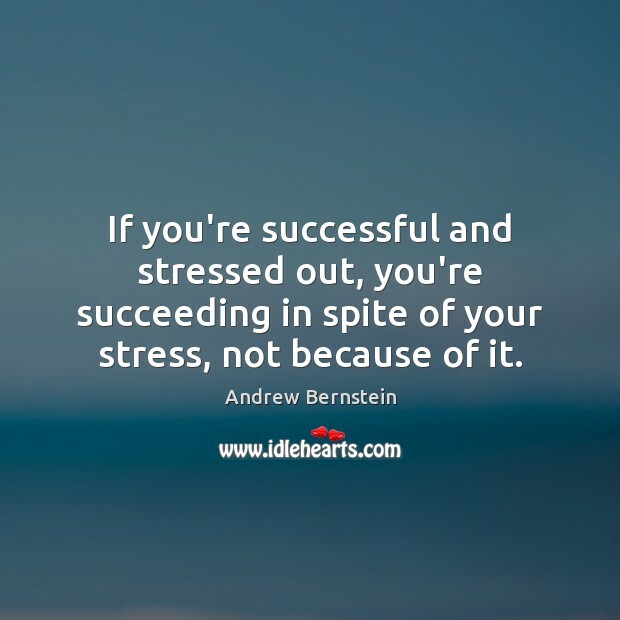 But we don't need stress to get there. 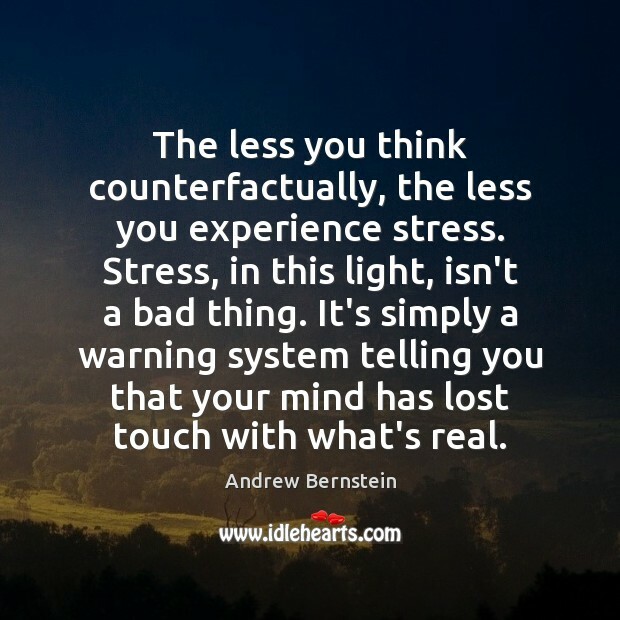 The less you think counterfactually, the less you experience stress. Stress, in this light, isn't a bad thing. It's simply a warning system telling you that your mind has lost touch with what's real.